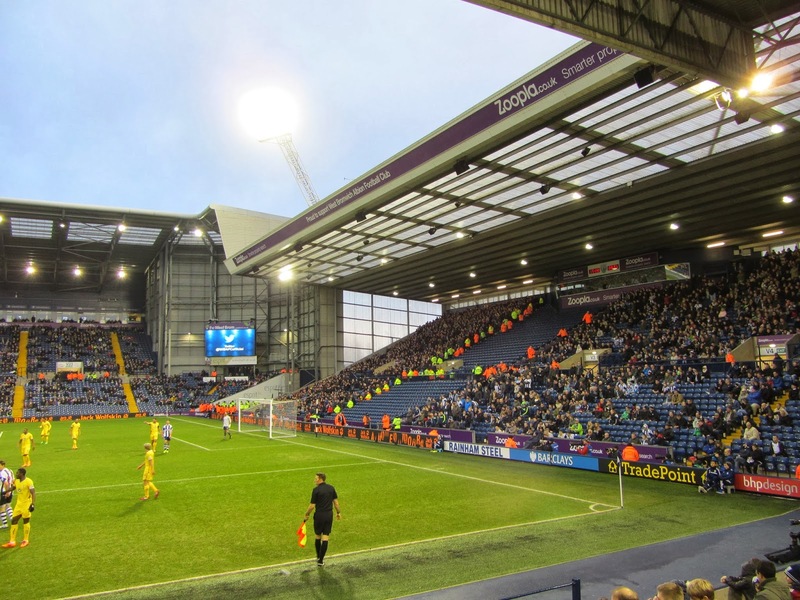 My first stadium of 2014 was on Saturday 4th January at The Hawthorns in West Bromwich, West Midlands. 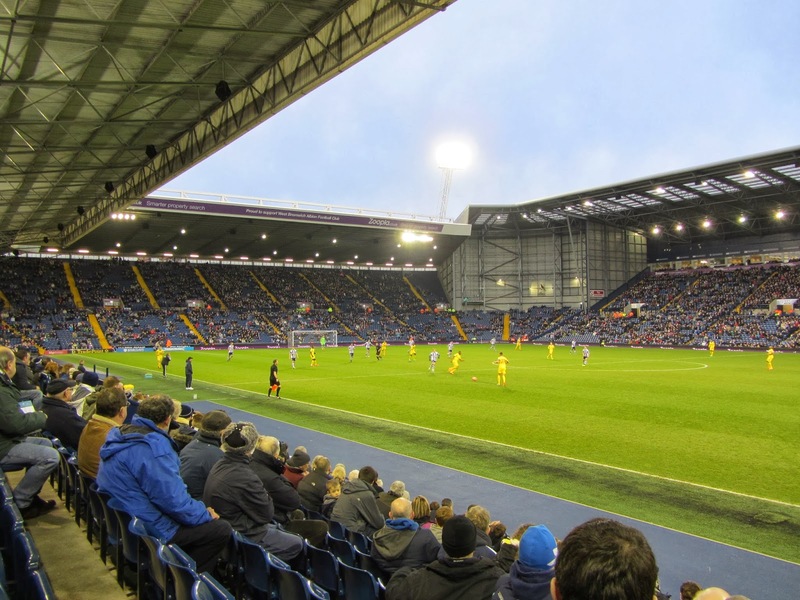 The match was West Bromwich Albion vs. Crystal Palace in the F.A. Cup 3rd Round. The Hawthorns is nestled in the Middlemore industrial estate around 1.5 miles east of the centre of West Bromwich and 4 miles west of the centre of Birmingham. 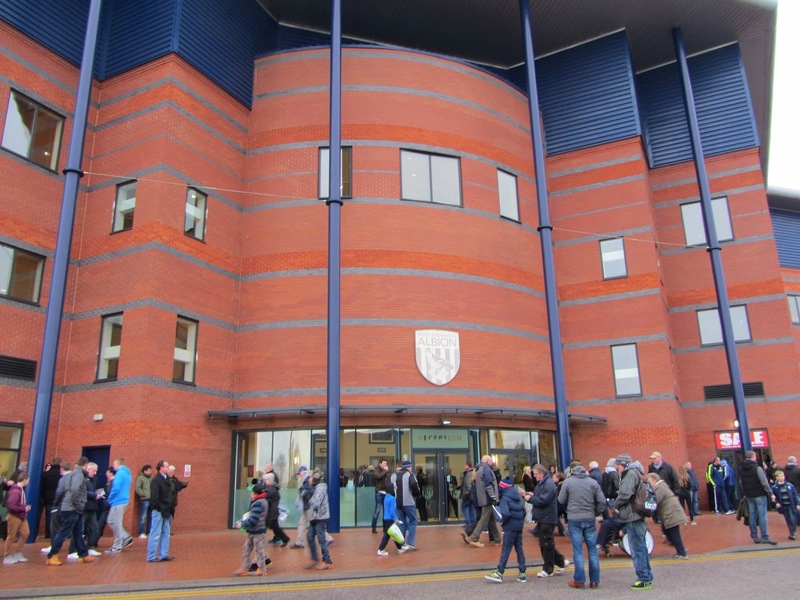 The closest railway station is The Hawthorns which is just 500 yards from the stadium with the more frequently served Smethwick Galton Bridge railway station just over a mile away. The ground has been home to the club since 1900 when they vacated their Stoney Lane home in the centre of the town to move to The Hawthorns. Much of the ground has been extensively renovated over the last 20 years with three of the four stands being rebuilt in that time. The West Stand is the only one which has not been extensively renovated and it is the smallest in the venue. It has a capacity of 4,725 with a row of executive boxes placed behind the main seating. With the low capacity and somewhat cramped facilities inside the club have plans to replace it with a new 10,000 seat stand though movement on the project is currently on hold. Directly opposite this is the East Stand which re-opened in 2000 with a capacity of 8,791. This stand also joins up with the Birmingham Road End at the northern end of the ground with additional seating in Woodman Corner. The Birmingham Road End was converted from terracing in 1994 and including Woodman Corner has 8,286 seats. The remaining Smethwick End is located behind the goal at the southern end of the ground. Able to house 5,200 supporters this stand is segregated into two with the away fans taking the eastern side and the most vocal home supporters taking the western side. This all Premier League tie started off pretty slowly with just one shot on target in the opening 20 minutes as Julian Speroni saved Matej Vydra's effort. In the 22nd minute the hosts gave away a sloppy goal after a defensive error. Goran Popov's risky pass at the back went straight to Hiram Boateng who passed to Dwight Gayle who was able to turn and shoot from the edge of the box. His effort wrong-footed Ben Foster and ended up in the bottom corner of the net. West Brom sought to get back on level terms and almost did so when Craig Dawson's header hit the crossbar. The hosts continued to press after the break and with Palace sitting deep West Brom had ample opportunity to craft some decent chances. They became increasingly frustrated and made attacking substitutions to try and get an equaliser. The visitors seemed happy to play counter-attacking football and deep into stoppage time Yannick Bolasie made his way through what was left of the home defence and laid the ball off to Marouane Chamack who tucked into the net. This was the final kick of the game and confirmed Palace's spot in Round 4.